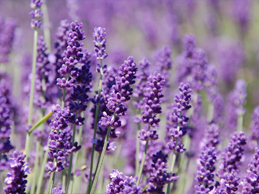 Lavender may be an alternative to some sleeping pills, a study suggests. Benzodiazepines have been linked to a host of side effects, including memory problems, male breast growth and even birth defects.Insomniacs are frequently unable to overcome negative thoughts than those who get regular sleep, according to the study by Binghamton University, New York. The Kagoshima University scientists analysed whether the smell of the vapourised lavender compound linalool helps mice relax and discovered mice exposed to the flower aroma had less signs of anxiety. Likely as many as 40 per cent of people suffer from anxiety worldwide during their lifetime. Research earlier this year suggested getting less than eight hours sleep a night is linked to anxiety. Lavender could also be used to calm patients before surgery or those who struggle to take medication, such as young children or the elderly.